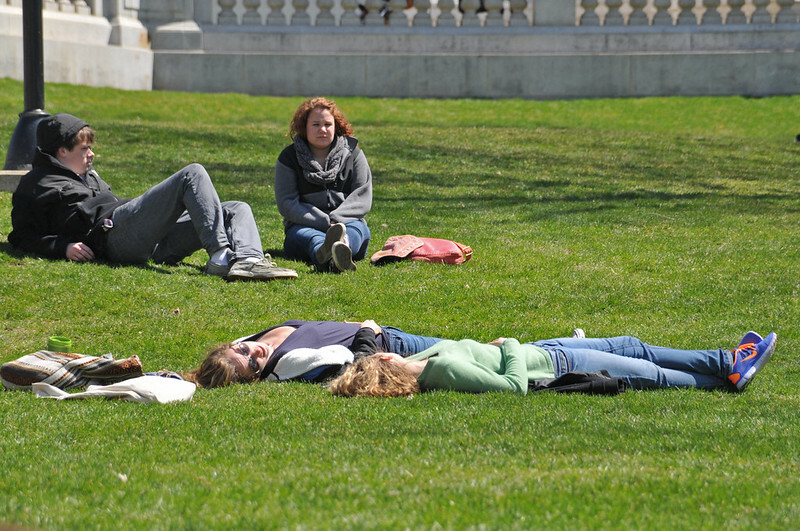 Yep, laying in the grass basking in the sun! Ahh! As we headed down the street, we realized it was "Busking For Books weekend too. It is an event designed to raise awareness of, and money for, adult illiteracy. There were bands or musicians on every corner...like all four corners of every intersection. 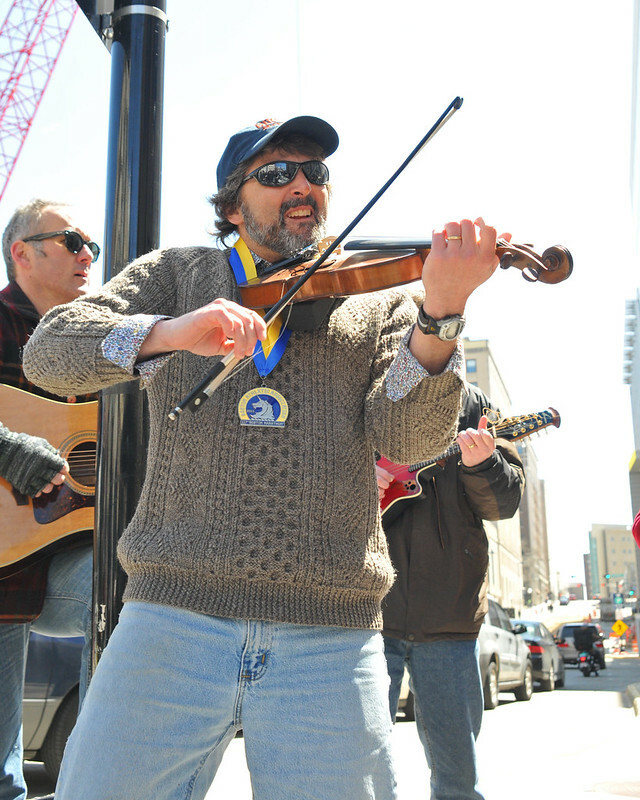 At one point we found our friend Daithi (who had just run the Boston Marathon - yikes!) doing what he loves - making music. It was good to see him there. 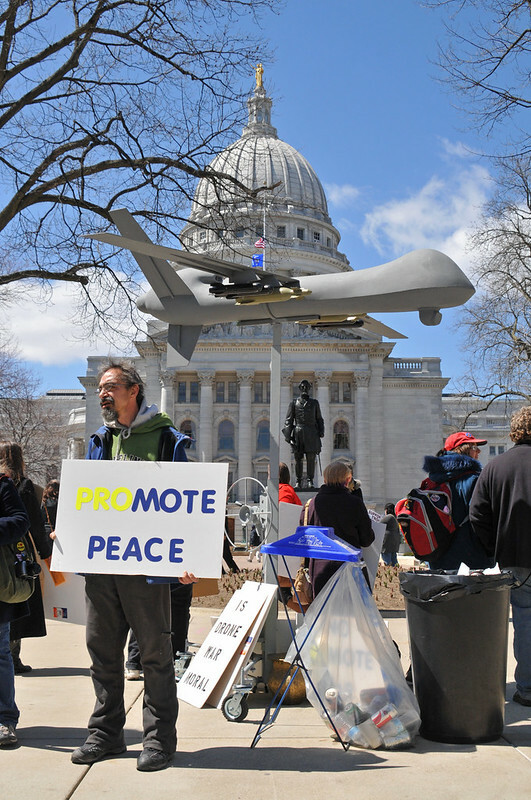 And finally, it would not be spring in Wisconsin (at least since the Wisconsin Uprising two years ago) without protesters at the Capitol. In this case the protest was about a Federal issus - drones - rather than state, but nevertheless, it was strangely comforting. We will get more snow and icky weather before winter completely lets go, but it was wonderful to have a beautiful day with no real agenda and a friend with whom to share it. It felt really good.